The boat train from Liverpool was crowded with passengers newly arrived from America. The trip had been rough. 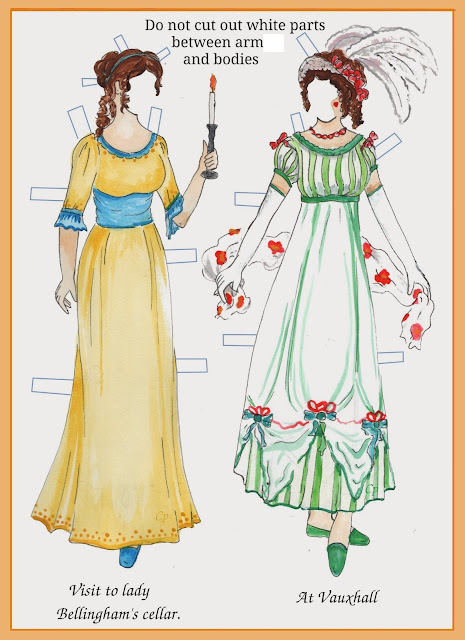 Looking pale, a pretty girl of some seventeen years occupied a corner seat in a First Class carriage. She smoothed her smart, pink linen travelling suit with a careful hand. Her straw boater was set neatly on long, blonde hair. Her eyes were large and pale blue. Opposite, sitting with her back to the engine, was a woman ten or so years older, who showed no sign of having suffered mal de mer. Where the girl was dressed in the height of fashion and displayed all the polish that money could achieve, her travelling companion’s costume was restrained and serviceable. Chestnut hair was drawn back in a plain knot, under a hat that would never catch anyone’s eye. Her gloves were cotton and her boots very ordinary. Her face, though, was rather fine, with classic features and a pair of exceptional grey eyes. She wore an expression of amused tolerance. observations: So this is an odd thing. Yesterday’s book, published 1907, was Frances Hodgson Burnett’s The Shuttle, the tale of two American sisters, daughters of a millionaire, one of whom marries into the British landed gentry. The other sister comes to visit. Today’s 2012 book is about two American sisters, daughters of a millionaire, one of whom marries into the British landed gentry. The other sister comes to visit. The theme – the girls bring their money, the men bring a title – occurs elsewhere, in the works of Edith Wharton and Henry James, as well as in identifiable real life. But the similarities in these two books are so marked that I expected to find some reference to them in the more modern one: there is no such in the Kindle version I read, although there is quite a list of acknowledgements to others. There’s an Earl of Mountstanton in one, and a Lord Mount Dunston in the other. Both have the very specific detail of a young man trying to make his living in New York by selling typewriters. There is a wicked old dowager in each, and a young heir. (Mind you, only FHB would dare call her young boy Ughtred: the modern version is a cheery Harry.) There is dirty work concerning the dowry money and the upkeep of the estate. There are characters called Seldon in one, Selden in the other. In this case it is not the younger sister (Belle in one book, Betty in the other - Belle and Betty each go off on their own on a horse and get into jeopardy and have to be rescued) who is the saving of the situation, but her companion Ursula, and the book is a reasonably intriguing thriller, with a dead nursemaid and some villainous goings-on to guess. Two mistakes: the vicar wouldn’t have been on the inquest jury in an English village, and you do not use thick knitting needles to make a lacy shawl. Compare notes with yesterday’s book. 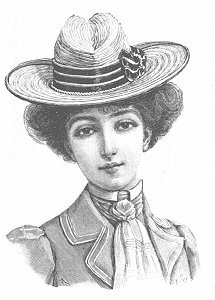 The picture of a woman in a straw boater is from Wikimedia Commons. MOira - Isn't that interesting how those themes and storylines can be so similar! Good spot! Oh, and love that 'photo of the boater. I like the way the hat has a dip in the middle - it's not how they normally look, but I presume it's authentic.